A “podestrian” at the Venice location of Podshare. 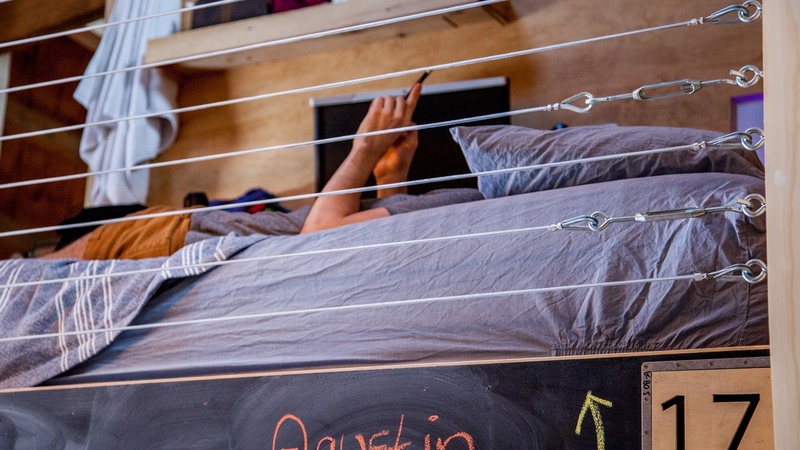 Residents pay $60 per night to sleep in one of the bunks. Photo courtesy Podshare.